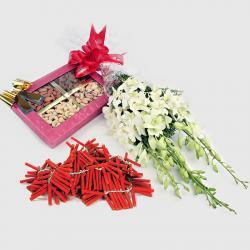 Product Consist : Basket of 12 Mix Red and Yellow Roses with Cadbury Celebration Chocolate Pack (Weight : 140 Gms) along with Assorted Fire crackers (Worth Rs.300/-) (Note: Types of Fire Cracker are depends upon their availability no specific choice). 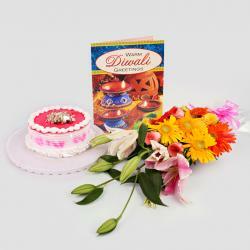 This Diwali gear up with something special like this hamper that is exclusively devised for Diwali. 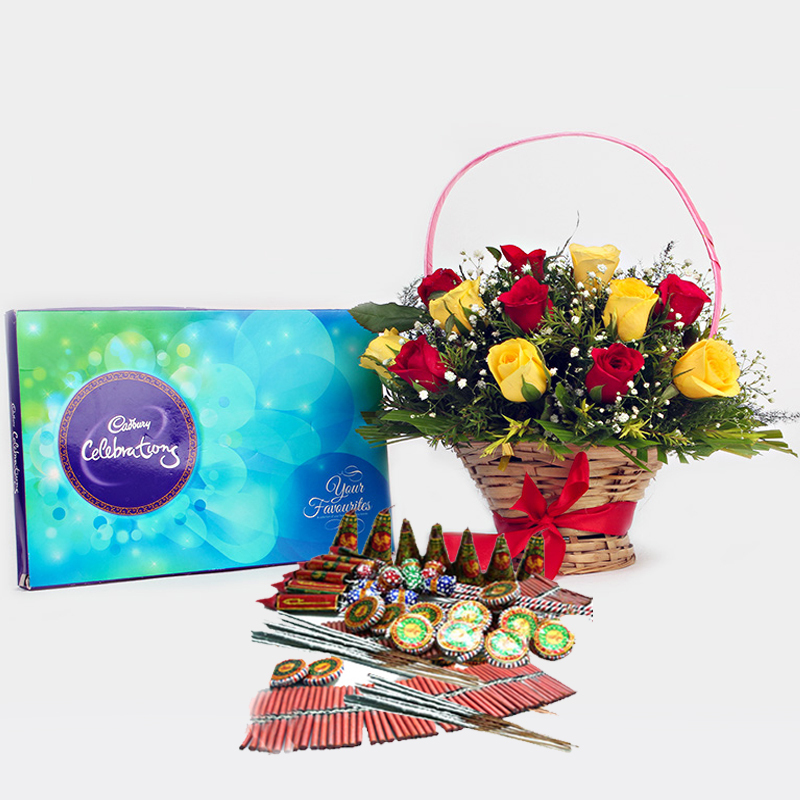 This hamper comes with basket of dozen red and yellow Roses a pack of Cadbury Celebration Chocolate that is everyones favorite; be it kids or elders. Along with the Cadbury Celebrations pack Along with it the hamper has Fire crackers that are a must for the celebration of Diwali. So order this hamper online today and greet your loved ones warm with it. 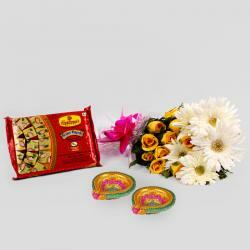 Product Consist : Basket of 12 Mix Red and Yellow Roses with Cadbury Celebration Chocolate Pack (Weight : 140 Gms) along with Assorted Fire crackers (Worth Rs.300/-) (Note: Types of Fire Cracker are depends upon their availability no specific choice).